Here's how it works, friends. 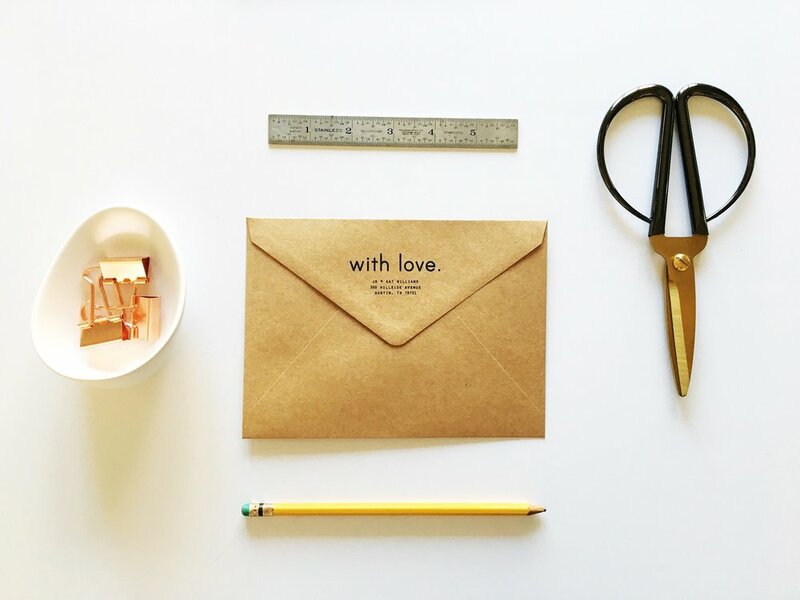 We carefully prepare and package each order from our home studio in Hurst, Texas. Orders ship Monday thru Friday. We will also ship on Saturday as needed. All orders ship via USPS Priority, unless otherwise requested. All orders are prepped and packed within 1–3 business days. For custom orders, please allow 3-5 business days. We currently ship all domestic orders via USPS. We currently do not ship internationally at this time. Paper goods are packaged carefully in clear sleeves and shipped in flat, rigid mailers, unless otherwise noted due to the special nature of the order (requiring a box, large padded envelope, etc.). Our goal is to package with as little waste and with as much recyclable packaging as possible. If you have an issue with your order for any reason, please let us know as soon as possible so we can make it right. We do not accept unauthorized returns. Authorized returns must be unused, undamaged, and in its original packaging. Please contact us and we'll get you taken care of. Shipping costs are unfortunately non-refundable. Thank you. Is your purchase a gift? Hooray! Please let us know at check out the occasion and we'll be happy to add some extra gift giving freebies + love in your shipment. Let's celebrate! We’ll get back in touch with you ASAP! Promise!